I very recently read The Tenant of Wildfell Hall by Anne Brontë and I absolutely loved it. It got me thinking about hype within the classic genre. I’ve had heaps of experience with hype in YA, but I never really thought about it for classics until now. I’m sure you’ve heard of the Brontë sisters, whether you read classics or not. I’m sure you’ve also heard of Jane Eyre and Wuthering Heights. They’re popular classics, right? So my question is, why isn’t The Tenant of Wildfell Hall just as popular? If you read my review the other day, you’ll know that I basically thought this book was brilliant. It’s a very raw story as it was based on Anne Brontë’s own experiences with her brother, Branwell. I absolutely love Jane Eyre — it’s one of my all-time favourite books, and I’m not particularly fond of Wuthering Heights (at least what I’ve read of it) but I feel that this deserves the same amount of recognition. I’ve seen a few book bloggers and booktubers talk about this in the past, but not nearly as many as it deserves. I’ve seen people say they prefer this over Jane Eyre and Wuthering Heights, but still — not enough people have read this. And not only in the book blogging/tubing community. When it comes to classics, I really like watching adaptations after I’ve read the book just to see how the words get translated onto the screen. There are some really great ones out there, mainly the BBC miniseries of North and South, but then there are some not so great ones. 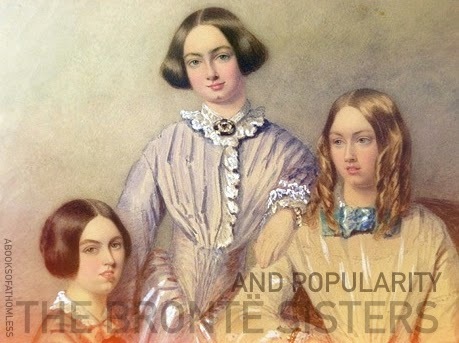 When it comes to the Brontë sisters… well, it gets interesting. There are about eighteen different adaptations of Jane Eyre, and those are only the ones in English. Out of all of those, I’ve seen two neither of which I particularly liked. There are 13 adaptations of Wuthering Heights, again these are just the English ones. How many adaptations are there of The Tenant of Wildfell Hall you might ask? Two. There are two. Both of them are miniseries. One made in 1968 that doesn’t even have a promotional cover on IMDB (so you can imagine how well that must have turned on) and another made in 1996, which stars Toby Stephens (from Jane Eyre), Tara Fitzgerald and Rupert Graves (this is just for you Inge). Some of you might know that Jane Eyre and Wuthering Heights got remakes a few years ago, but no — The Tenant of Wildfell Hall has still got nothing. I just don’t understand why it isn’t as popular as the other two. In my personal opinion, it would make a really great movie — firstly, the setting of the novel is seriously beautiful. Secondly, can you imagine the soundtrack? It would be beautiful piano pieces and other sombre stuff, it would be amazing. Thirdly, and possibly most importantly, it tackles the issue of domestic abuse, which is incredibly relevant in our society. I should mention when I say ‘abuse’, its not violence but more emotional abuse and manipulation. That’s something people deal with now, every day, and not just women either so why shouldn’t we see it from the eyes of Anne Brontë who experienced it, even if it was ages ago. It just proves how much of a serious issue this is. I’m sorry if this made no sense at all. I just really needed to get these thoughts of my chest and I’m hoping some of you might agree with me. If you hadn’t read this yet, then maybe this will convince you to?